The University of Georgia’s Terry College of Business is ranked No. 1 for Risk Management and Insurance by U.S. News & World Report and its familiar Best Colleges guide. 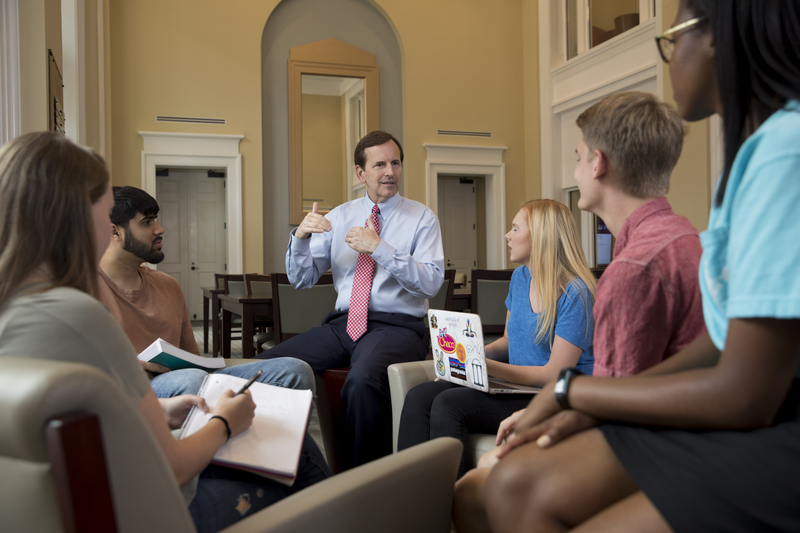 U.S. News has ranked specialized fields in business every year since the 1990s, and the Terry College’s Risk Management and Insurance program is perennially ranked as a Top 5 program nationally. The new ranking marked the second time in five years that the Terry College of Business claimed the top spot. The U.S. News ranking is the latest among several honors UGA’s Risk Management and Insurance program received this year, Hoyt said. A.M. Best Co. named UGA a “Top Performer” in Risk Management and Insurance based on a survey of hiring managers and industry professionals. Only three other universities received the “Top Performer” rating in 2018 from Best’s Review. Twenty universities worldwide were designated as “Global Centers of Insurance Excellence” by the International Insurance Society in the program’s inaugural year. The certification program recognizes outstanding risk management and insurance programs based on an analysis of their course offerings, graduation rates, employment success and professional involvement. The Terry College’s RMI program is the largest in terms of current enrollment and graduates, according to the most recent survey conducted by Business Insurance magazine. More than 600 UGA students currently major as undergraduates in risk management and insurance, and more than 200 are graduating from the program every year. Hoyt said new graduates are well-equipped to take a variety of positions in the industry, such as insurance adjusters and underwriters, insurance brokers and agents, actuaries, personal financial planners, as well as analysts in corporate risk management.